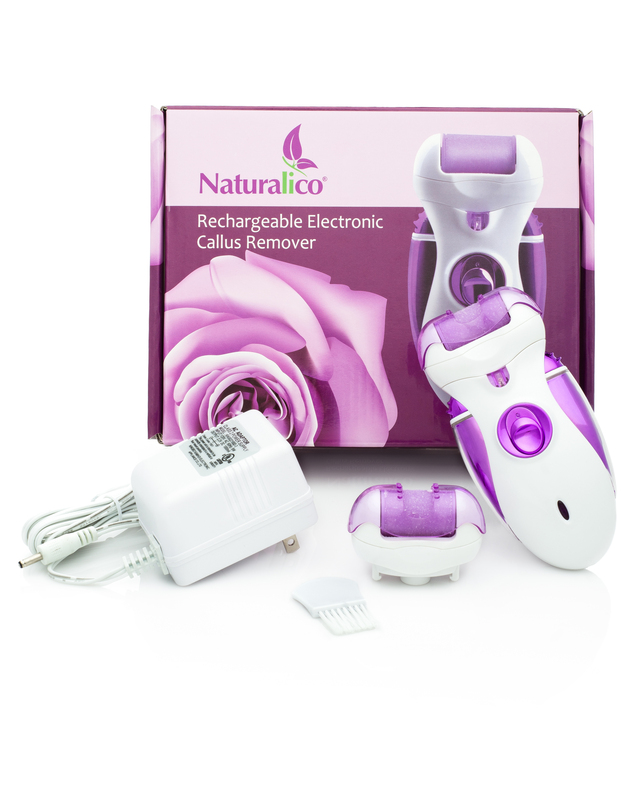 I just recently tried out the Naturalico electronic foot file and I love it. This thing is almost like having a spa in your own home! I love getting pedicures but they are so expensive. Plus I don’t know what it is about having a stranger touching and messaging my feet that kinda makes me uneasy. So with this great callus remover I can get great smooth feet and I don’t have to leave my own home. It works great. The Naturalico foot file is rechargeable. It actually lasts a long time before it has to be changed which I love. It comes with a charging cord. It’s water resistant which is also super convenient because I usually like to soak my feet when I’m doing a pedicure so I don’t have to worry about it getting wet. It has a smooth grinding motion and feels great on the feet. The roller is detachable so it makes it super easy to clean it. It also comes with another roller as a back up. After using the Naturalico electronic foot file my feet were soft and smooth and felt great. It was as if I had been to the spa to have a professional pedicure! I love them! Love the cute look of those strappy sandals but wouldn’t dare let anyone see your calluses and the rough patches on your feet? You could visit the salon multiple times to get that skin scraped away, but who has the time and the money for that? At home, you can spend hours rubbing at your feet with pumice or manual files and shavers, but you’re likely to just end up with raw, red skin and a sore, aching wrist. Fortunately, there is a way for you to get silky, soft feet that you’ll be proud to flaunt all summer long and beyond. The Naturalico Callus Remover is the answer!Naturalico is a foot exfoliation tool that gently lifts away dead skin and minimizes calluses. Less abrasive and much faster than manual files and pumice stones, the tool costs less than what you’d pay for professional pedicures to remove that unsightly skin. With its powerful motor, our foot file spins a full 360° at speeds of 40 turns per second. That’s faster than competitors’ tools and means you’ll remove more skin every second. There are two speeds from which to choose for customizing treatment. Plus, our file is rechargeable, sparing you the cost and the planet the waste of replacement batteries. Using the Callus Remover couldn’t be easier. Start with dry skin. Turn on the unit. Gently move it along your foot, pausing over rough spots and calluses. The integrated LED light will help you see those trouble spots with ease for improved effectiveness. When you’re done, rinse your feet with warm water and then apply a body lotion or moisturizing foot cream. Your feet will feel softer and smoother each and every time with calluses diminishing gradually session after session. You can purchase this foot file on Amazon!